The recent floods in the south and south west of England have made businesses from all over the country re-assess their plans for business continuity. Bosses are considering what the vital elements of the business are and what needs to be preserved at all costs. Top of the list is usually preserving the IT and computer systems. Many organisations backup their systems offsite but there is still a need to ensure any onsite digital media and key documents are secured safely. At Safelincs we are experiencing more customers who are asking for safes that are not only fireproof but will also resist water. We can offer them a range of safes that offer protection against both. Documents, CDs, DVDs and other valuables can be secured with fireproof safes that have UL certification and have passed water submersion testing to ensure their suitability. One particular range of waterproof and fireproof safes can protect hard drives which are still connected to the computer system. 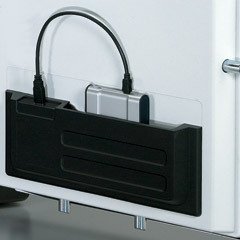 This is achieved with a USB connection to the safe and allows a business to protect hard drives without having to move them daily from the computer system to a secure storage location. Prices start at under £160 for a smaller safe whilst the top of the range fire and water resistant safe has a capacity of 221 litres. To complement the clock change campaign, which is designed to encourage people to test their smoke alarms at least twice a year, and to increase the frequency of testing, Fire Kills, the UK Government’s Fire Safety Campaign, has recently commenced a new initiative. Running alongside the clock change campaign will be one that encourages householders test their alarms on the first of every month. A series of comical video clips have been produced to reinforce the message. The first of these features an acrobatic troupe forming a human pyramid with the person on top testing the alarm. Fire Kills undertook some research following last year’s March clock change advertising and asked what people believed to be a reasonable testing frequency. The main responses were 41% who said monthly, 24% when the clocks change 20% once or twice a year and 16% weekly. 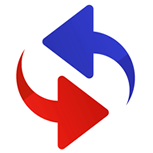 Whilst the clock change campaign will continue the new monthly activities have been introduced to provide consistency in regular testing that is easily memorable and can be applied throughout the year. Safelincs is also supporting the message of regular smoke alarm testing by offering a reminder service for smoke alarm testing. Fire services across the country praised citizens who were asked to take extra precautions to stay safe during firefighter strikes that took place over the Christmas and New Year period. The precautions outlined are those which everybody would do well to heed – strike or no strike! These included not overloading plug sockets (particularly pertinent during the festive period when extra lights are in use), ensuring smoke alarms are fitted on every level of a property and not cooking whilst under the influence of alcohol. Also making sure everything is switched off before going to bed and sharing an escape plan with everyone who is living or staying at the property. The ongoing industrial action is being taken in opposition to the government’s decision to raise firefighters’ retirement age from 55 to 60 and to increase their individual pension contributions. Graham Stagg, Chief Fire Officer at Cambridgeshire Fire and Rescue Service, said: “Although our crewing levels were significantly impacted, we were able to use our own operationally trained managers and on-call firefighters to crew fire engines during the strike period. Safelincs supplies Handelsbanken, a leading Swedish Bank with over 700 branches in 24 countries, 147 branches of which are in the UK, with fire safety products such as fire extinguishers. Purchasing fire extinguishers from Safelincs gives Handelsbanken full protection. Should the extinguishers ever be used, Safelincs will immediately replace the extinguishers. So, when on the 21st of October a CO2 fire extinguisher was used by the fire brigade in one of the Handelsbanken branches, Safelincs immediately replaced the extinguisher, free of charge. We want our customers to use their fire fighting equipment without ever having to worry about the aftermath. This applies not only to extinguishers – all fire safety equipment bought from us used on or affected by fire is covered by our free replacement guarantee. Fire extinguishers in churches and cathedrals are important to protect the often invaluable historic artefacts and mostly wooden internal structures. However, the extinguishers must be chosen with care. A well publicised case, where the extinguishers became the problem rather than preventing one, was the vandalism caused by two teenagers in a church in Spalding in 2006. In this case a powder and a water extinguisher installed in the kitchenette were set off. The powder and the water reacted to form a slightly acidic mixture which formed a hard crust. Valuable church fixtures, including the organ had to be restored at a cost of £240,000. Powder extinguishers, while being excellent on forecourts, engine rooms and car parks, where they are valued for their rapid knock-down of flames from a variety of sources, are not really suited for indoor locations. The fine powder can obstruct vision and lead to inhalation of the powder. The powder will also attack electronics, soft furnishings and causes damage to wood and metal, especially when moist. In principle, water based extinguishers (water, water spray, ‘dry’ water mist) and foams are suitable, although foams contain chemicals that might be harmful to metal and wood. Please note that water extinguishers with additives can also cause damage. CO2 extinguishers, while leaving no deposit, are not really suitable for the type of fire risks in churches and can unfortunately be misused to intimidate people with their roaring discharge and the massive temperature drop the discharge causes. Where traditional extinguishers requiring annual servicing are required , the E-series ‘dry’ water mist extinguishers from Jewel are perfect, as they create a very fine mist with much smaller water mist particles than those generated by normal water spray extinguishers. These extinguishers are also suitable for all common fire risks found in a church, including electrical risks (even up to 1000V, as long as a safety distance of 1m is adhered to). The mist is so fine that the damage to paintings and structures is limited and no puddles are formed. The extinguisher can also be used on clothing, wall-hangings and carpets. Where in-house servicing of the extinguishers is required, often to help reduce costs , the Britannia P50 maintenance free foam extinguisher can be installed instead. It is suitable for the majority of the fire risks found in churches, however, its deposits are harder to clean up and potentially corrosive. After the initial install and certification carried out by Safelincs, the extinguisher only requires yearly visual inspection by the Church Warden. No refill after five years is required and the extinguisher does not require a service engineer for ten years! 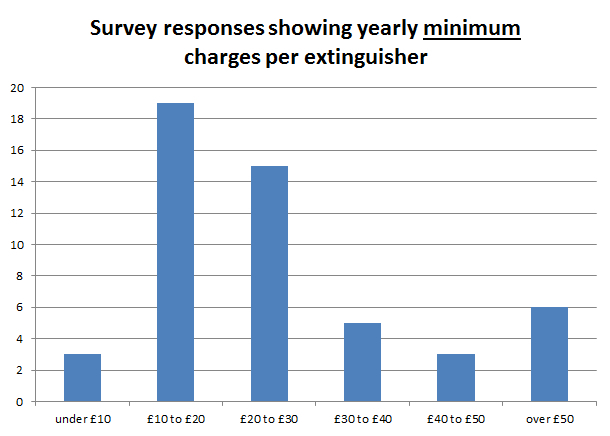 The vast majority of parishes would have saved significant amounts of money by switching servicing of their fire extinguishers to Safelincs who, as the Church of England’s chosen fire safety provider, offers ParishBuying customers all-inclusive extinguisher servicing at £7.27+VAT per extinguisher (please note that there is a one-off call-out fee of £21.83+VAT). 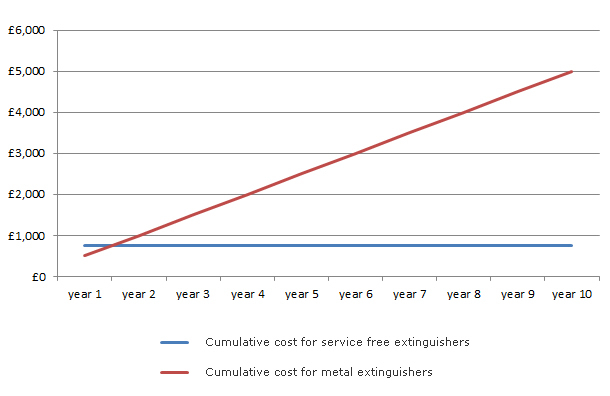 These servicing prices are based on the traditional standard steel and aluminium extinguishers, which require yearly servicing and five-yearly refills. An alternative offered by Safelincs and strongly promoted by the Church of England as a means of saving money and protecting the environment, are the P50 servicing free fire extinguishers. 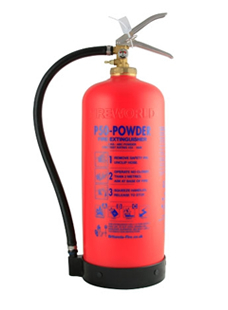 These extinguishers are manufactured in the UK and are made out of a Kevlar-style material and completely corrosion-free. They do not require servicing or refills (unless they are used, of course) for a period of ten years, saving a significant amount of money. Once these extinguishers are installed by Safelincs they only require a very simple visual check once a year by e.g. the Church Warden. The P50 extinguishers are approved by the Ecclesiastical Insurance Group and of course kitemarked. ParishBuying members are offered the P50 (including free site survey, installation, certification and training) for only £94.05+VAT each. Safelincs also offers free replacement of extinguishers damaged in or used on a fire. One of the parishes participating in the above survey was chosen to receive the P50 extinguishers for free. St Margaret’s in Warnham had their eight traditional extinguishers replaced with P50s including, of course, installation, certification and training, which forms part of the standard package with these extinguishers. St Margaret’s used to pay between £500 and £749 per year for their extinguisher maintenance and will now not have to pay a penny for ten years. ‘Everyone at St. Margaret’s Warnham is delighted that we are the recipient of the prize draw allowing complete replacement and installation of new extinguishers. We would wish to thank the Directors and, indeed, everyone at Safelincs for their generosity in providing such a splendid prize. As you can imagine the continuing viability of our small village church presents an ongoing struggle so the financial benefits provided through your firm is a great blessing. We would be delighted to assist in any publicity drive as a result of the competition under the Parish Buying banner or in any other way. Safelincs was invited to the launch of the Carbon Monoxide Awareness Week that was held at the House of Lords on the 19th of November. The week is organised by CO-Aware, a charity that supports the many victims of Carbon Monoxide (CO) poisoning, their families and friends. A number of very important facts were highlighted during the presentations. The first of these was the long term effects for people who had suffered long-term exposure to carbon monoxide but had seemingly recovered. There is a common perception that, if a person has been removed from the source of carbon monoxide, they will suffer no long-term problems. Brain specialist Dr Steve White gave a presentation entitled ‘Neurobehavioural problems following CO exposure’ which detailed how exposure to the gas can have a long term effects, such as deterioration of brain tissue following exposure to carbon monoxide. He used the case study of 45 year old graduate in Boston, USA who was exposed to carbon monoxide whilst working in the kitchen of a restaurant. After a long time, it emerged that there was an appliance leaking the gas. Her initial symptoms were flu –like, headache, muscle pain, fatigue, not walking straight and bumping into things, speech and hearing problems, irritability and facial pain. Once the CO leak was removed her most obvious symptoms improved rapidly. The lady was subsequently monitored over many months to determine any long-term impact form the poisoning. Despite having a very high IQ, the lady, over the following months, experienced problems reading and speaking (missing words). There were incidences of memory loss, short attention span and lack of perseverance when set tasks. She also suffered bouts of depression not experienced before. These problems were believed to be due to the damage caused by carbon monoxide to the basal ganglia of the brain. The neurobehavioural effects of exposure will vary between individuals and will depend on length and degree of exposure. One in three people who have been exposed to CO and seemingly recovered could experience illness symptoms about six weeks later. There has been quite a lot of publicity this year around tragedies where campers have died from carbon monoxide poisoning after taking a barbeque into a tent for warmth. Mark Pratten from Cornwall Fire and Rescue is an evangelist for raising awareness of CO poisoning and has been taking the message across the county’s camp sites and caravan sites. Unfortunately, whilst people know not to take the barbeques into the tent they assume that this is due to the fire risk and that dying embers on the other hand are quite safe. Nothing could be further from the truth. Mark’s short talk at the launch provided previously unrecognised information. Tests carried out in Cornwall found that when a barbeque was no longer hot enough for cooking, and was in fact only very slightly warm to the touch, it was emitting MORE carbon monoxide than when it was hot, and at extremely dangerous levels. If a tray with a warm, disposable barbeque was taken into a closed tent, the CO levels rose up to 900ppm, a level which is potentially deadly. The same applies to embers from an open fire within a house. Their CO creation potential must not be underestimated and chimneys must not be blocked or air vents closed after a fire until all embers have completely died down. Also, buckets with hot ash must be taken out of the house immediately. Dr Ombarish Banerjee talked about his ‘conversion’ to the awareness of the dangers of CO poisoning. Because symptoms of carbon monoxide poisoning mimic so many common health problems, most victims don’t even know they are actually being poisoned. And the same goes for doctors. It is certain that many cases go undiagnosed and are put down to a virus or something similar. GPs perceive the problem to be rare and more likely to turn up in Accident and Emergency centres. While many doctors have CO readers these are mainly used to show people, who are giving up smoking, how their CO levels have dropped. However, these devices could also be used to assess potential CO victims; however, one must keep in mind that their readings will have dropped significantly since leaving their homes, so misreadings are possible. Dr Banerjee has been involved in producing a video that is being sent out to GPs and other areas in the NHS aimed at raising awareness. Other presentations at the launch included stories from victims and relatives. CO- Awareness is fighting to obtain better facilities for victims. Until the effects are more widely recognised this will be an uphill task. Positive news is that the government is looking at ways to link compulsory installation of CO alarms to the ‘Green Deal’. However, it is estimated that five million homes have poorly maintained, damaged or incorrectly installed fuel burning devices that could emit carbon monoxide. And as we live now in better insulated homes, the problem could become worse, as any carbon monoxide leakage will not be vented quickly. The CO problem will be around for a long time yet. The Carbon Monoxide All Fuels Action Forum was launched this week in Parliament. The new body aims to bring together all key figures throughout industry, government and charities that are working towards the common goal to eradicate deaths caused by carbon monoxide poisoning. The group will emphasise that carbon monoxide poisoning can occur whenever a fossil fuel is burned, whether that be gas, oil, wood or coal. The group will share and spread knowledge of the dangers of carbon monoxide, coordinating awareness campaigns and inform policy making. This new body was one of the recommendations by the All-Party Parliamentary Carbon Monoxide Group. It is hoped that the two groups will be able to bring together a cohesive attack on carbon monoxide poisoning involving Parliament, industry representatives and charities. For general information about Carbon Monoxide visit Carbon monoxide info, a web site with lots of information about carbon monoxide and how to protect yourself. It lists in clear concise terms the symptoms of carbon monoxide and tells you what you should do if you suspect you are suffering from carbon monoxide poisoning. Deciding what type of fire extinguishers you require or where to install them can be confusing. To help you with this task, Safelincs are offering free extinguisher site surveys to all businesses and organisations on mainland UK. There is a small charge for non-mainland locations. The process is straight forward: either book your site survey online or contact one of our customer care team on 0800 612 6319. Within 14 days you will receive a phone call from one of our BAFE engineers to book a mutually convenient day for the site survey to be carried out. On the day of your survey the engineer will issue you with a survey report and the recommendations for what you require. Our extinguisher servicing engineers can also give you a quote for carrying out the recommendations. Once you have had time to consider the recommendations, you can contact our customer care team, who will confirm the quote with you and arrange your installation or service with one of our BAFE certified service engineers. Not only does this service save you time it also saves you money. If you purchase any products or services from us, rest assured in the knowledge that our very competitive online prices apply, even when we are dealing with you face to face. 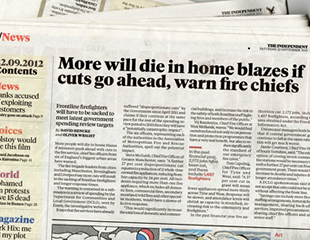 Fire brigade leaders from cities including Manchester, Birmingham and Liverpool are warning that more people will die in house fires if government ministers push ahead with cuts to fire services. An article in the Independent (22/9/12) reported that the warning was contained in a submission to a review of spending by the Department for Communities and Local Government (DCLG) and seen by Exaro, the investigative website. In the past financial year fire authorities cut 2,172 jobs, including 1457 firefighters, according to figures obtained under the Freedom of Information Act. Unions and managers both believe if cuts continue response to incidents will be slower and attendance levels will shrink as capacity is stretched – increasing risk to the community and firefighters. Whichever side of the argument one takes, the debate should encourage people to ensure all the necessary precautions have been taken to safeguard their homes. At a time of year when fires are ignited, electric blankets switched on and candles lit, it is especially important to ensure that all the necessary safety measures have been taken. One of the most obvious steps to take is to ensure that smoke alarms are fitted on every level of a property. There are many different types available to suit all budgets and requirements. A battery operated device with a five year guarantee can be purchased for under £5. Radio interlinked devices, whereby a device being activated in one room triggers the alarms in other areas, are more expensive. Heat alarms are recommended for kitchens as they won’t be set of by cooking fumes. 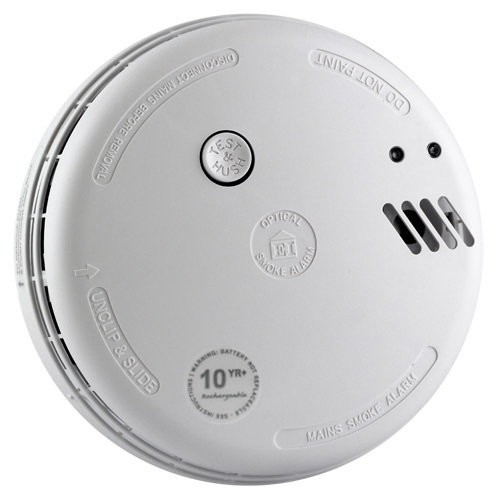 Smoke alarms for the deaf and hard of hearing feature high-intensity strobe lights and vibration pads. Whilst the majority of homes now have smoke alarms fitted it is important that they are maintained properly. The batteries should be tested regularly and replaced according to manufacturer’s recommendations. And the unit should be replaced after ten years as the sensors cannot be relied upon beyond this time. A free reminder service on the Safelincs website reminds people by text or email when each of these activities need to take place. There is a misconception that mains smoke alarms last forever. This is not the case. Just like battery systems the sensor cannot be guaranteed to be effective beyond ten years. However, anybody with an Ei /Aico 140, 150 or 160 Series alarm system can purchase the Easichange product. This allows the main part of the alarm, containing the sensor, to be replaced leaving the base unit in place. The procedure can be simply carried out by the householder without the expense of calling in an electrician. Many people like the peace of mind of having a fire extinguisher in the home and there are many domestic versions now available. One of the most interesting new products on the market is the Jewel Water Mist extinguisher. This can be used on just about every type of domestic fire, including deep fat fires, and can be safely operated around electrical appliances. The extinguisher works by dispersing microscopic ‘dry’ water mist particles to suppress fires and extinguish burning materials very rapidly. There are no chemicals involved, so it is 100% environmentally friendly. Should the extinguisher need to be discharged in a cooking area there is no danger of contaminated food. And there is no risk to children. When purchasing any type of extinguisher you should familiarise yourself with the operating instructions. Fire extinguishers will work well on small fires but if they spread there is no alternative but to get out and call the fire service.